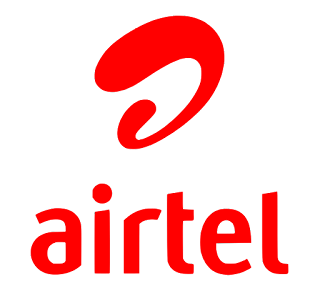 Leading telecommunications services provider, Airtel Nigeria, has been adjudged the best telecoms operator in Human Resources practices by the award Jury of the Chartered Institute of Personnel Management of Nigeria (CIPM). Airtel clinched the top prize at a colourful awards ceremony that held, last week, at the Oriental Hotel, Victoria Island, Lagos and attended by top HR professionals and many bigwigs across government circles and corporate Nigeria. Human Resources Director, Airtel Nigeria, Gbemiga Owolabi, received the award on behalf of the telco, describing the honour as an outcome of a relentless drive to make Airtel Nigeria a great place to work. "This award is dedicated to all the leaders and employees in Airtel Nigeria and it is a testament to our joint and continuous drive to make our workplace a great place to be. At Airtel Nigeria, we will continue to keep the flag flying,” he said. The Chartered Institute of Personnel Management of Nigeria was established as an umbrella Association for Practitioners of Personnel Management in 1968 with the mandate to regulate the Practice of Human Resource Management in Nigeria as well as promote excellence in the acquisition and application of knowledge and skills by Practitioners, thereby contributing to sustainable National Development. The CIPM annual awards platform celebrates best practices across different sectors of the economy and it is widely considered a highly reputable and respected award platform by HR professionals. In March and June this year respectively, Airtel was listed among the three best companies to work for in Nigeria according to a survey conducted by Jobberman and also adjudged the company with the best recruitment strategy by the HR People Magazine.